A unique, luxurious, edible, kissable, organic chocolate massage butter. It melts on contact with skin and is perfect for small and intimate areas, as it is safe to use anywhere on the body. Experience massaging your partner with this luxurious chocolate butter that just melts on contact with the skin. Kiss & taste this delicious silky chocolate off your partner, and experience intimate and beautiful sensuality. This gift box also comes with 2 chocolates to unwrap and share: Vanilla, Mulberry, Pistachio & Raspberry, and Sweet Orange & Pistchio. 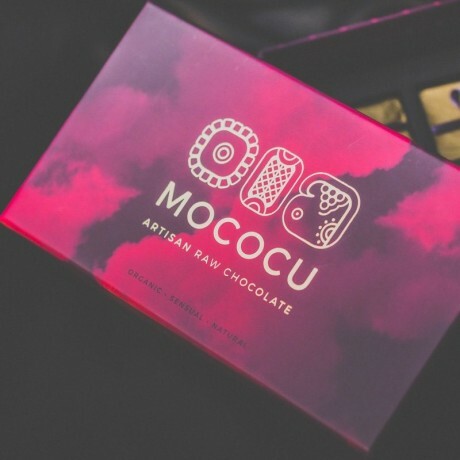 The decadent chocolates are raw and organic with a delicate, soft, silky texture that melts in the mouth, uncovering delicious layers of flavour. Please choose using the options on the right hand side. A unique romantic gift, ideal to encourage creativity, playfulness, love and a deeper connection between lovers. How to use: take a small amount of the butter with your fingers and apply to the skin in small gentle circles until it melts. Storage: Store in a cool, dry place and allow to come to room temperature before using. Once opened, store in a cool place and use within 8 weeks. 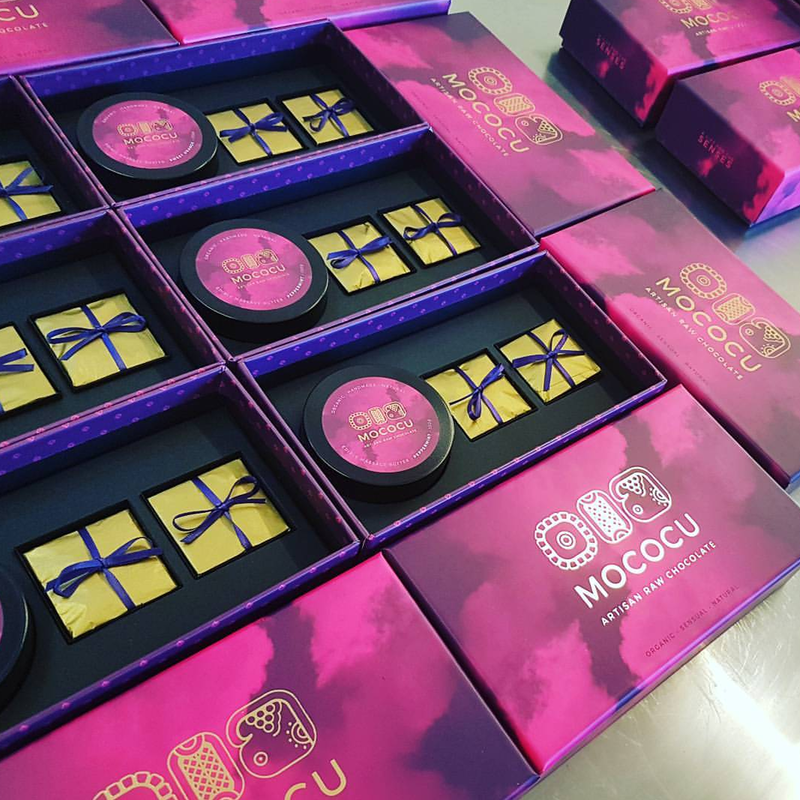 Chocolates: organic cacao powder, organic cacao butter, organic coconut oil, Himalayan salt, organic agave nectar, organic mulberries, organic pistachios, organic raspberries, organic figs and organic essential oil of vanilla and sweet orange. Delicious products, beautifully packaged and wonderful service! Will definitely be ordering more from Mococu! Thanks Alison! I feel passionately about raw chocolate and from the moment I unwrapped the gorgeously packaged boxes, I knew I was in for a treat. Unable to choose from the selections, I had ordered, and have eaten and reluctantly shared from Zest, Discovery and Botanical. The flavours are all delicious but it’s the magical way the chocolate makes you feel, that distinguishes these from any other chocolate that I have eaten.